It’s always easiest to keep a problem from happening than it is to fix it after the fact — and that is especially true when it comes to your oral health. 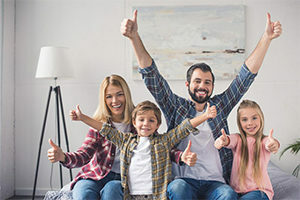 By maintaining excellent dental hygiene at home and visiting your Carrollton, TX dentist every six months for a checkup and cleaning, you can feel confident knowing you are doing what you should to enjoy a healthy, long-lasting smile. Keep reading to learn more about prevention with Dr. Kimberly Capua, and why it’s so important. Tooth decay and gum disease are two very common oral health hazards for patients of all ages, but they are also 100% preventable. Starting six month checkups and cleanings from an early age will help you and your loved ones keep your smiles healthy for a lifetime. Plus, patients who have dental insurance can benefit from preventive care that is completely covered — so there is no excuse to skip out on this routine attention. 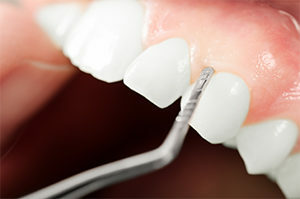 When you schedule a checkup and cleaning at our office, we will begin by asking you questions about your oral health. If you have noticed anything different lately, like sensitivity or pain, be sure to share this with us. Then, your dental hygienist will begin cleaning plaque and tartar from your teeth and around the gums, monitoring any periodontal pockets which indicate the presence of gum disease. After the cleaning is complete, we may take X-rays if it’s time. Most patients need a set of X-rays once per year. Then, Dr. Capua will come in to complete the examination. During this portion, she will examine each tooth, check in on old dental work, look at your X-rays, and take note of any changes in your oral health. If further attention is needed, we will schedule a time for your follow-up care. If not, we will plan to see you again in 6 months! Patients of all ages should receive a routine checkup from a general dentist every six months. Dr. Capua welcomes the whole family into the office for preventive and general dentistry services! For kids, good oral health requires an extra dose of prevention, as their developing tooth enamel is more vulnerable to cavities at a younger age. Your own oral health needs may include periodontal therapy or tooth replacement. Whatever your needs, we offer expert attention to help you achieve complete oral health. When was your last checkup and cleaning? If it has been longer than six months, you’re overdue — but it’s not too late to catch up on your routine dental attention. We will help you get back on track! Go ahead and schedule an appointment with Dr. Capua today.